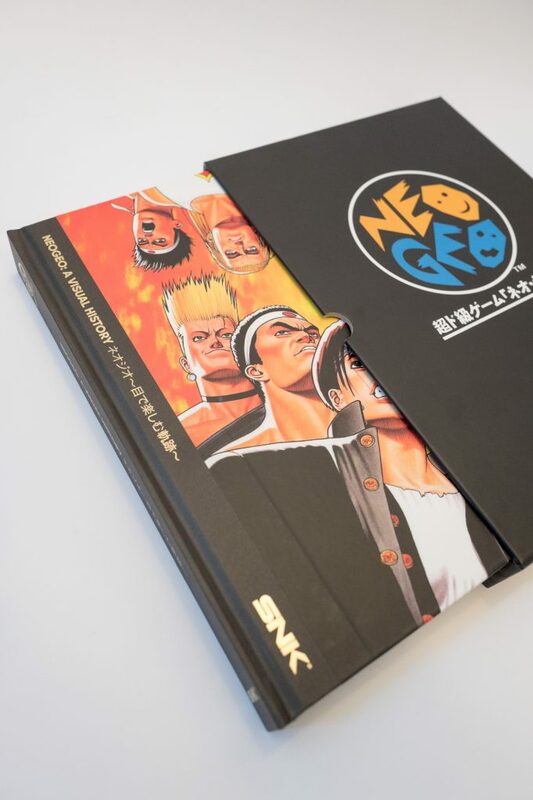 The collector’s edition has a hard cover sleeve with the Neo-Geo logo on the top, the book is substantial and heavy. 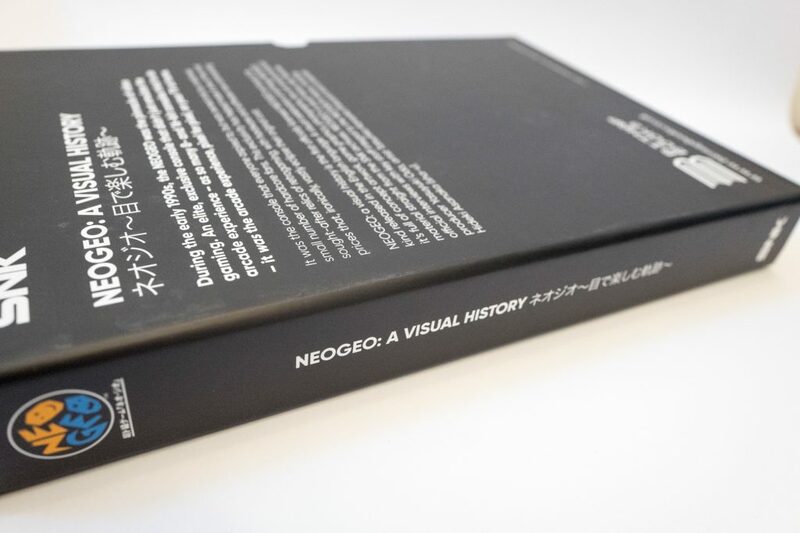 On the spine of the book you have gold writing of the title which looks great against the black background. 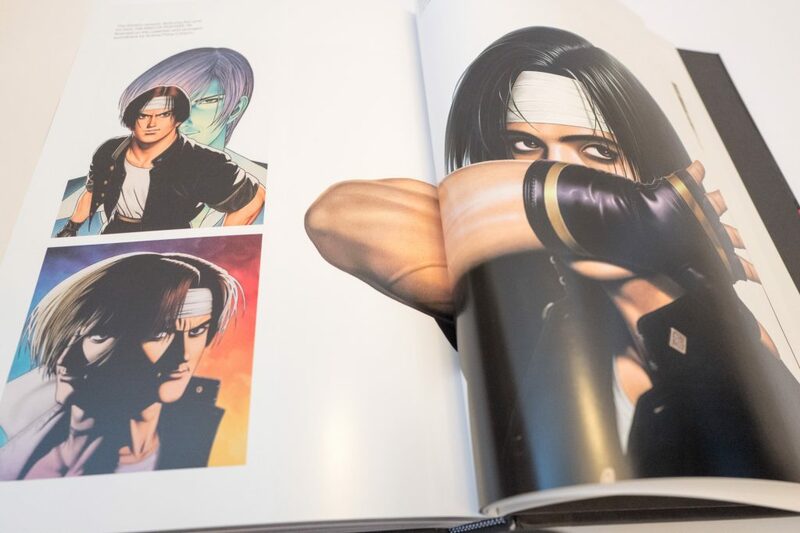 On the other side you have white writing which matches the back of the book. 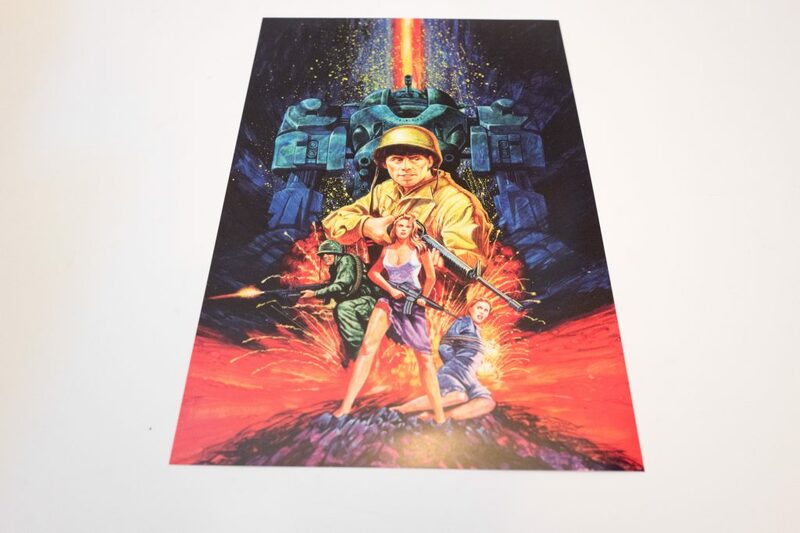 The back of the sleeve gives you a brief history of what the book is about. I really do like the sleeve it is a nice touch to the collector’s edition. 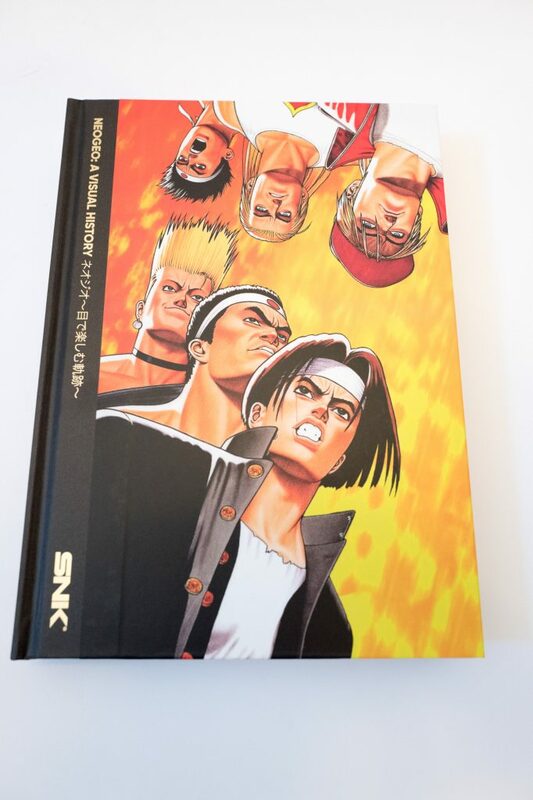 Sliding the book out of the cover reveals more gold writing and some classic characters from the King of Fighters Neo-Geo game. I like the cover of the book, it is completely different to the sleeve, a great contrast. The back of the book has another history section explaining what the book is about etc.. I’m not sure back the figure in the hat! 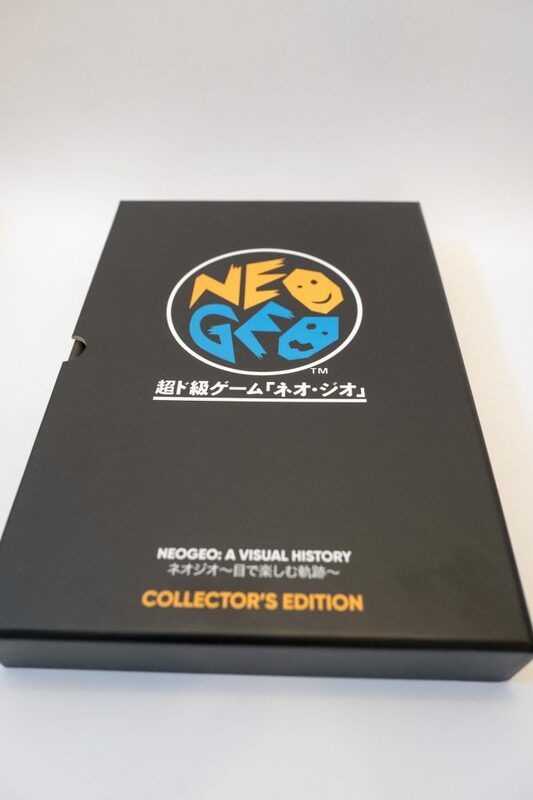 The collector’s edition also comes with two stickers and a pin badge, however for some reason I didn’t receive my pin badge and instead got three stickers! 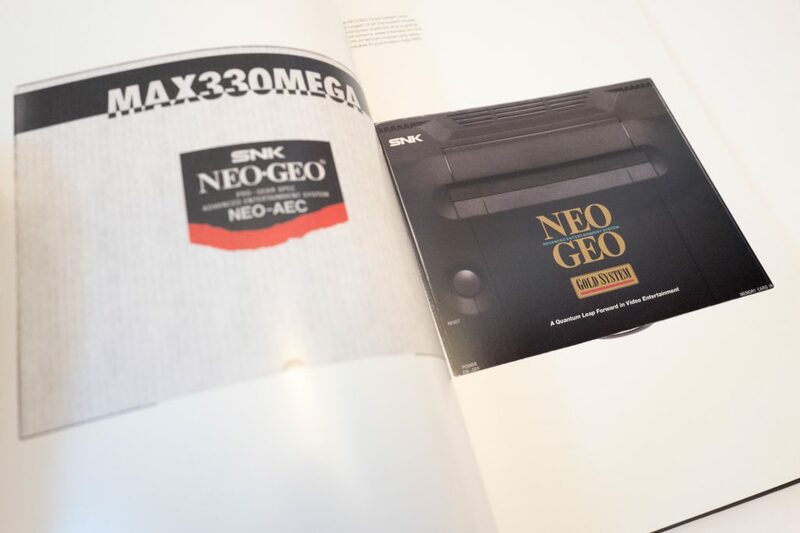 I think Bitmap books should explain! 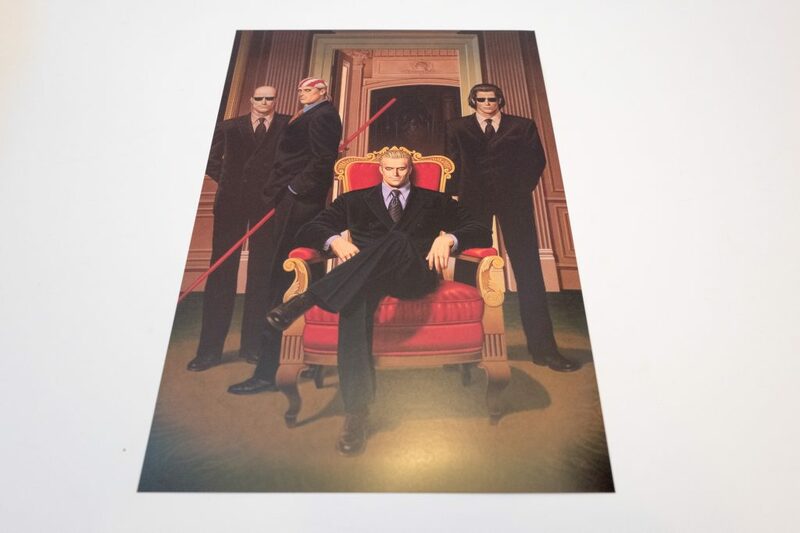 The collector’s edition also contains 5 posters which are in a envelope inside the the book. 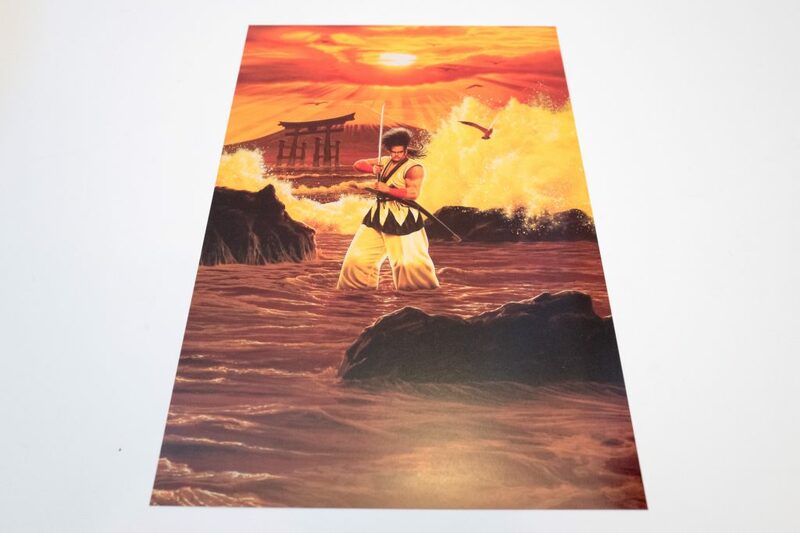 The prints are of good quality and of iconic artwork from Neo-Geo games. 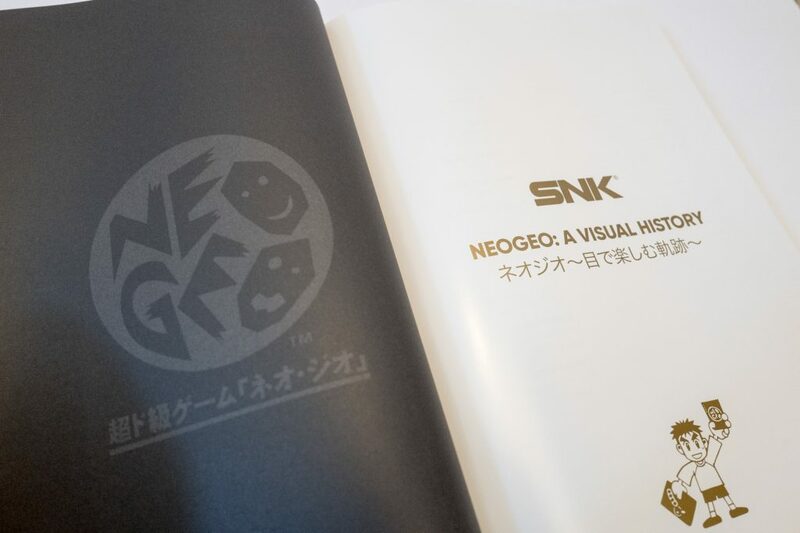 Opening the book you are presented with the Neo-Geo SNK logos and a cute figure at the bottom holding his Neo-Geo game pad. 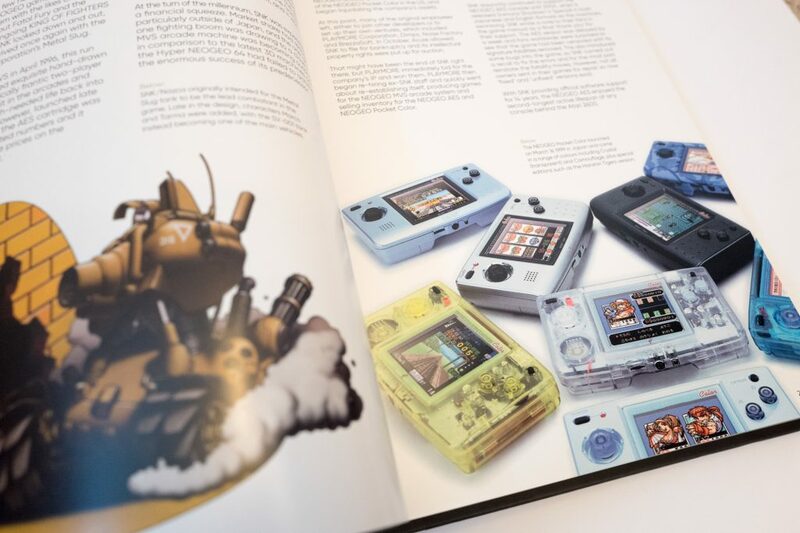 This page explains it all, this console has always been a collectors and gaming fans dream. 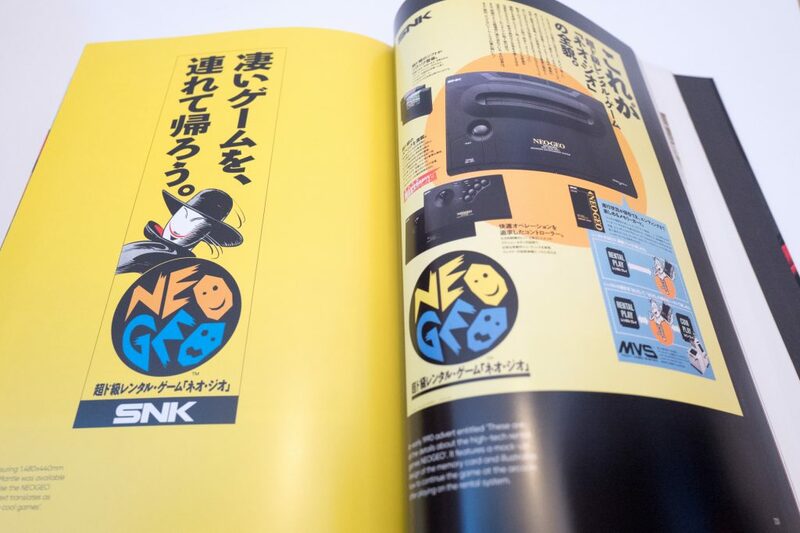 The first part of the book focuses on the Neo-Geo hardware, discussing the different versions of the machine such as the Neo-Geo pocket colour shown above. 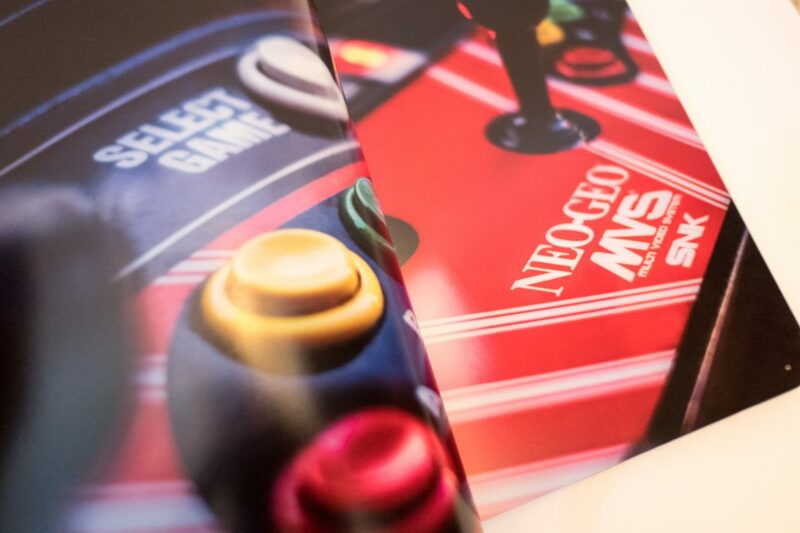 The MVS was the Neo-Geo arcade machine where it all started. 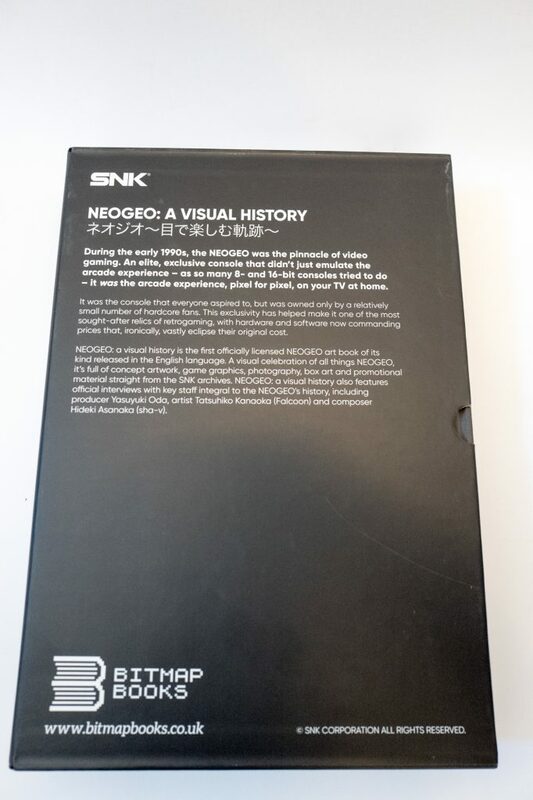 This is a image of the box that the cartridge console came in, it looks exactly like the console which is very square! 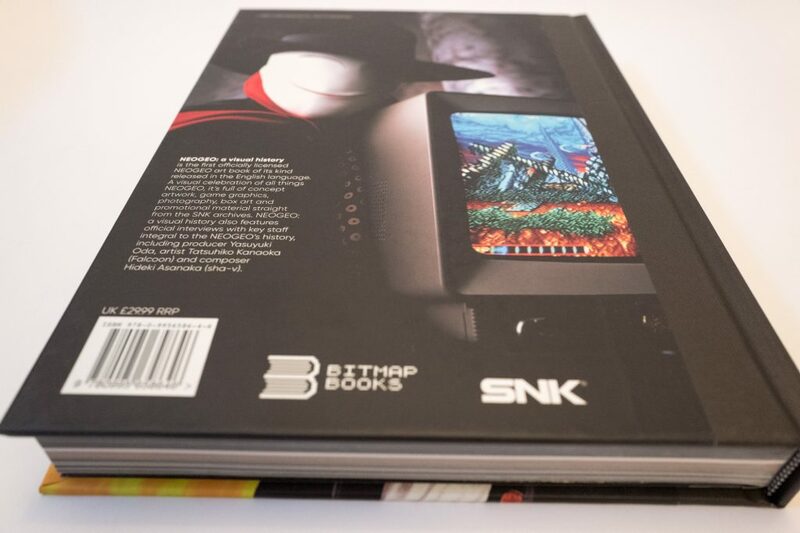 The book then moves onto the games and the gaming covers, the cartridges for the Neo-Geo machine are the biggest gaming cartridges ever, bigger than VHS tapes, they came with amazing cover art and manuals. 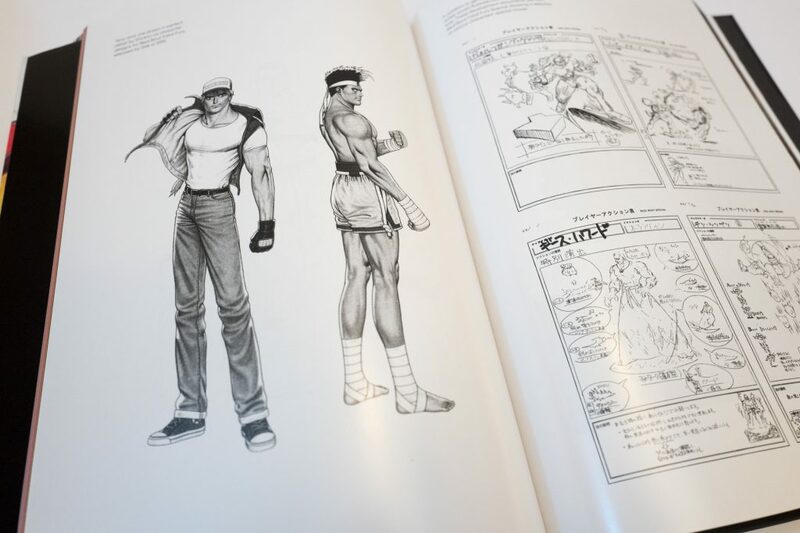 The book then discusses character artwork including lots of original drawings. 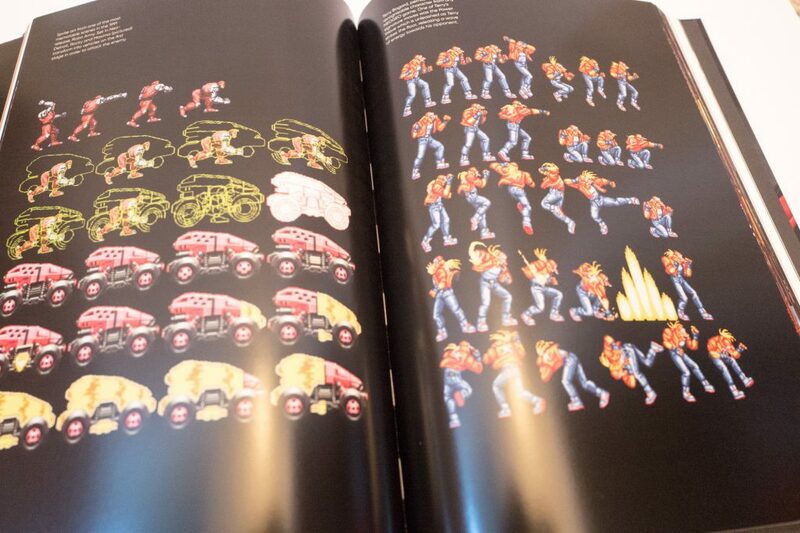 The next section is character pixel design showcasing the characters moves within games. 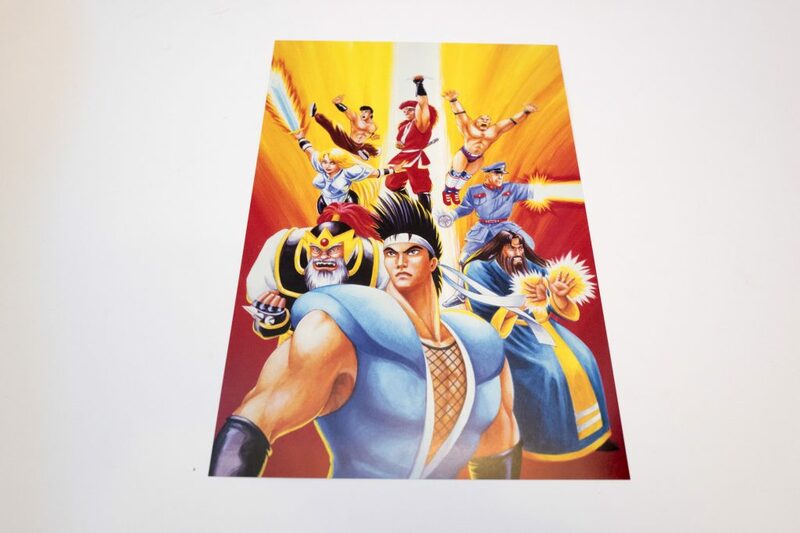 Further pixel artwork of key figures from Neo-Geo. 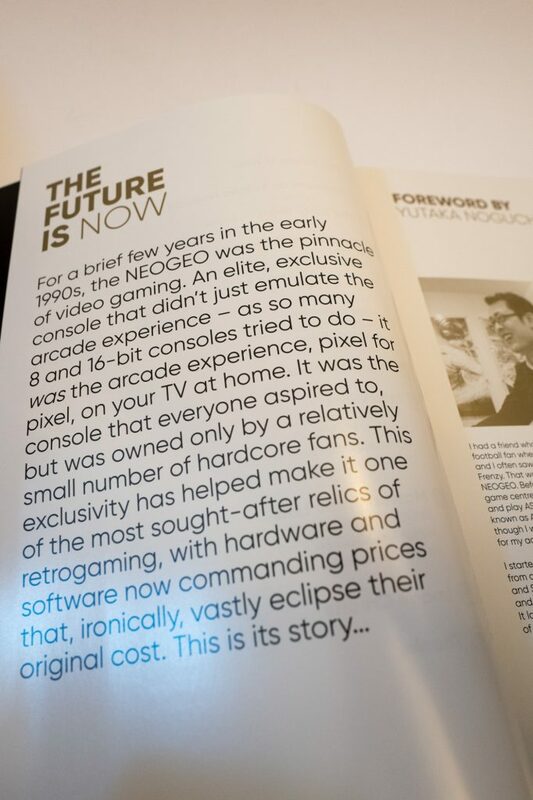 The book moves into magazines and press coverage provided at the time the console was released. 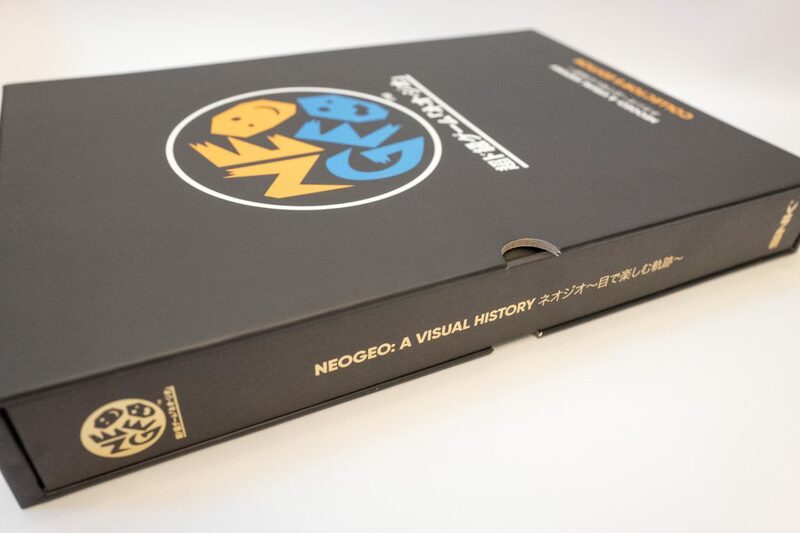 I would have loved a subscription to Neo-Geo world! Finally the book focuses on advertisement campaigns that were run around the world. 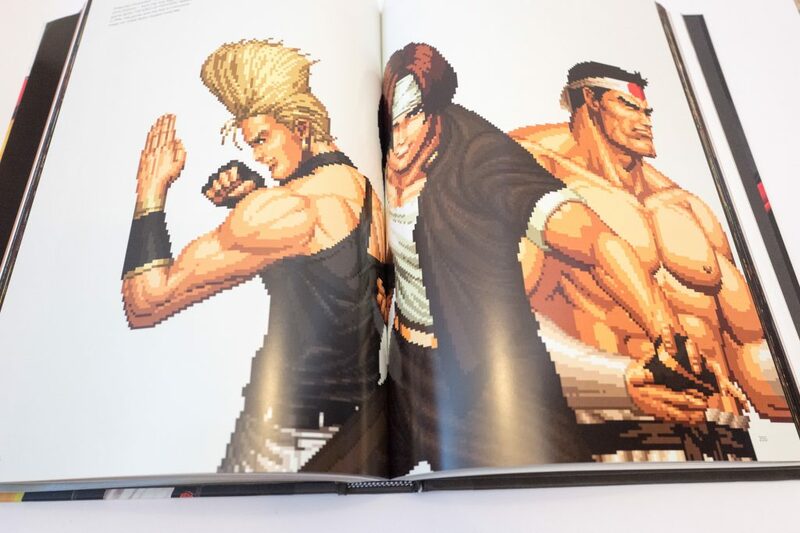 To conclude I feel Bitmap books have done a excellent job on this Neo-Geo book, the book is very detailed and provides a lot of information on the history of SNK and the Neo-Geo. 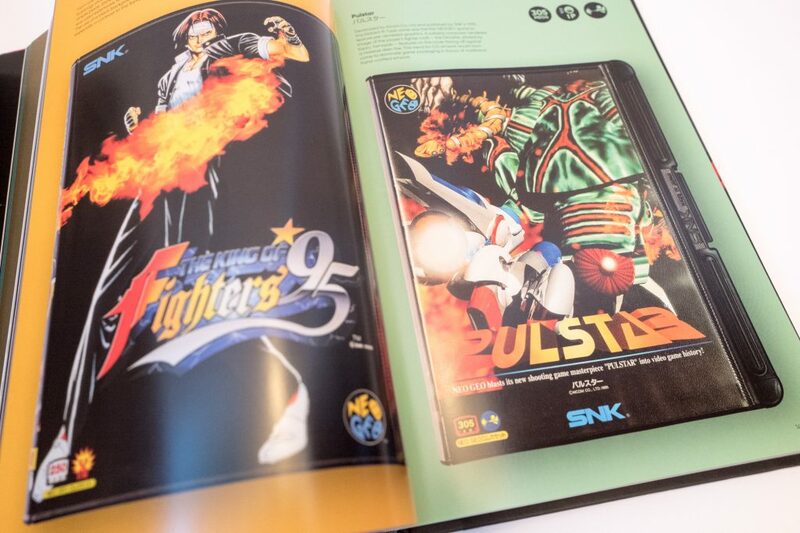 The regular edition is available for £30, both collectors versions have now sold-out. 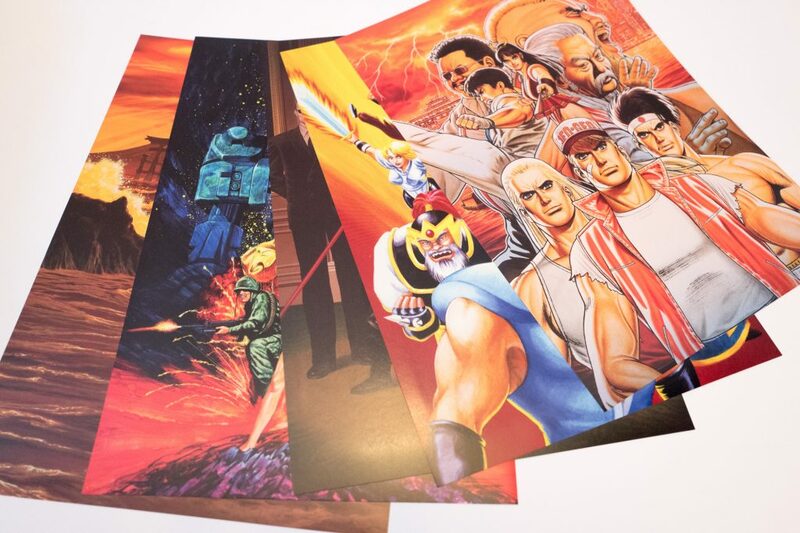 For my extra £20 I got a hardcover sleeve, 5 prints and 3 stickers. 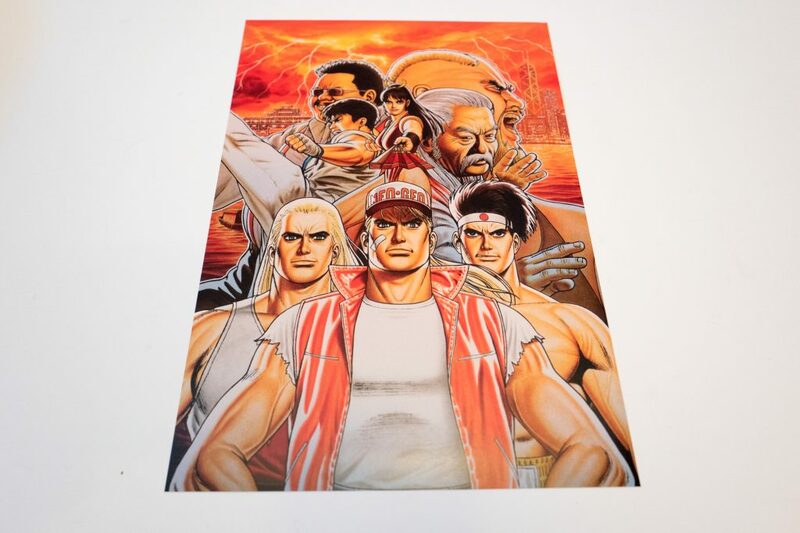 This isn’t bad but I think most people would be more than pleased with there regular edition, highly recommended for any retro gaming fan.